On Saturday night in Brooklyn, Mikey Garcia proved what a lot of boxing fans already believed–the Mexican-American star is a legitimate, pound-for-pound talent. If you don’t have Garcia in your personal top 10 following his one-sided decision over Adrien Broner, I don’t know what to tell you. Two judges ruled the fight 116-112 for Garcia with a third scoring it 117-111. That’s a pretty decisive victory, but most observers did not even have it as close as the judges did. Garcia was the better man. Garcia threw, and landed, almost twice as many punches as Broner. He demonstrated that he is simply a level above the much-hyped Broner. Garcia has now defeated top-ranked opponents in four different divisions, from 126 up to 140 pounds. 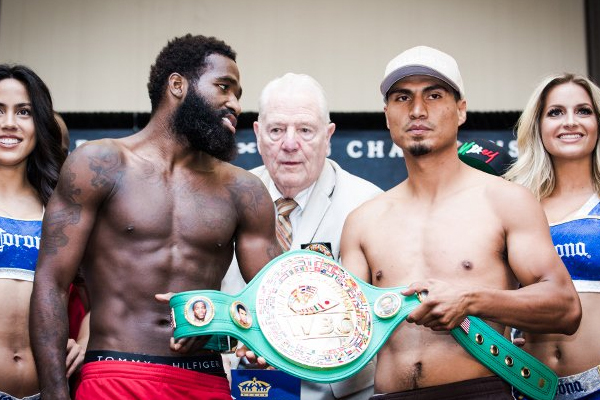 Broner has campaigned, with mixed results at welterweight. At super lightweight, he would have to be seen as one of the better contenders. The Transnational Boxing Board had him third at 140. But he was well out of his depth against Garcia. The immediate demand with be for a showdown with 140-pound champion Terence Crawford, who has his own defense scheduled for August, against Julius Indongo. There is a lot to like about that fight. Both Crawford and Garcia have turned in outstanding performances against very good fighters. Facing each other would be a step up in competition for both men. But Garcia has talked about dropping back down to lightweight, in order to pursue a fight with Jorge Linares. I am a big fan of that course of action. The winner between Linares and Garcia would be universally recognized as the real world champion at lightweight. If Crawford beats Indongo, that means a fight between him and Garcia could be a true, champion vs. champion bout. The winner would be established as the number one fighter in the world across two division, from super featherweight to welterweight. There would be no other credible claims, regardless of alphabet soup silliness. That’s a kind of clarity that we just don’t have enough of in boxing these days.